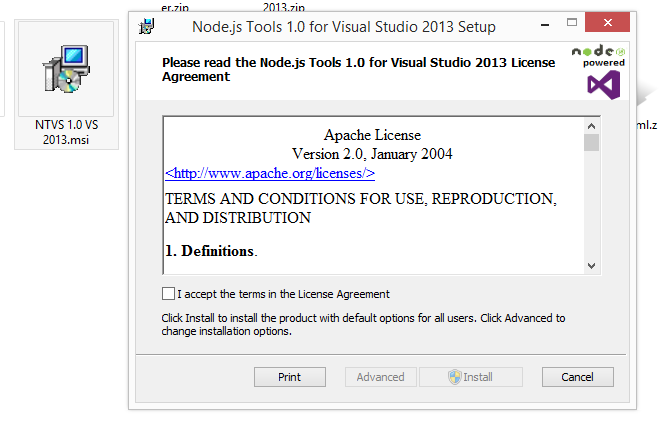 Yes, Now you can convert your Visual Studio to Node.js IDE thanks to NTVS 1.0! First of all let us see what is Node.js? Node.js is an open source, cross-platform runtime environment for server-side and networking applications. Its work is hosted and supported by the Node.js Foundation,a Collaborative Project at Linux Foundation. 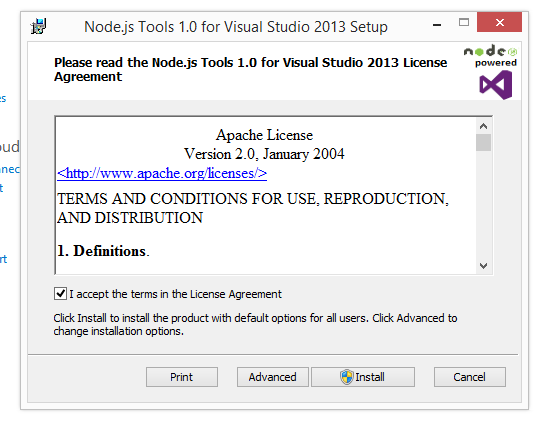 NTVS stands for “Node.js Tools for Visual Studio” which have released its first version in March 2015. How to get NTVS 1.0? What to do after downloading? Click on the .msi file you got in your download folder and you will see below screen. 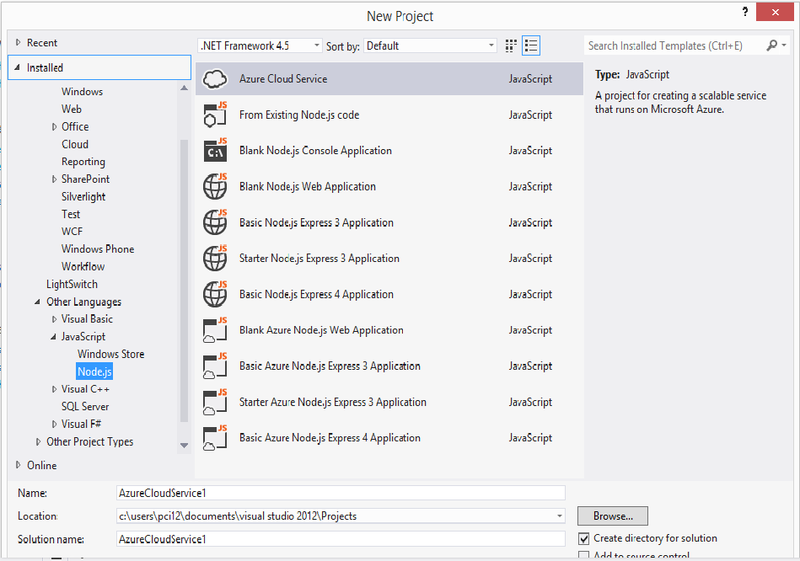 After finishing installment process open your Visual Studio and you can search for Node.js file as shown in below image. By clicking on Blank Node.js Web Application Below type of window will appear which would be your first Node.js in Visual studio. 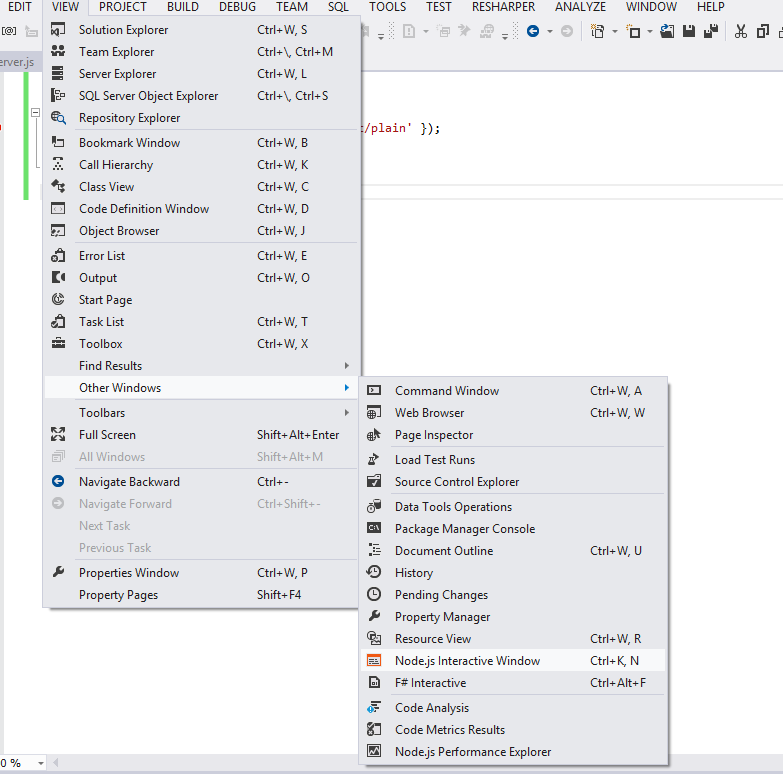 From above image you can see it also supports IntelliSense. 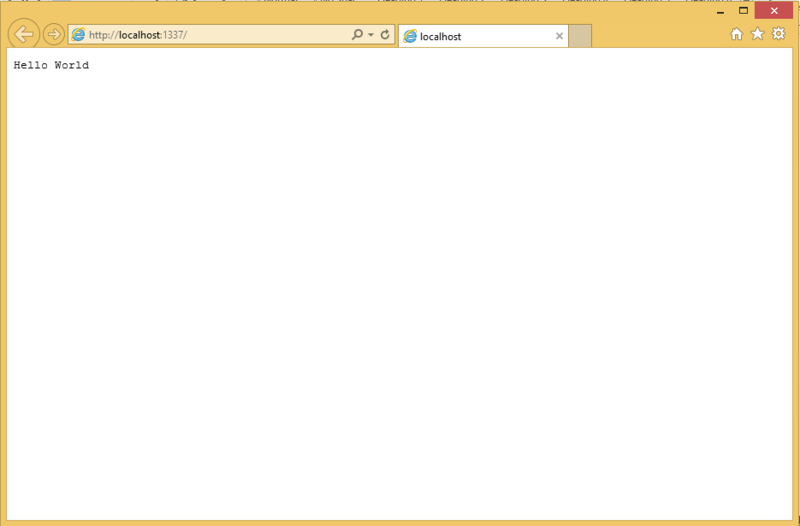 Great, Now tell me does it provide Windows Azure Support? But we MUST include the “node_modules” folder into project to ensure it could be uploaded along with our codes if we use Web Deploy or FTP to publish. 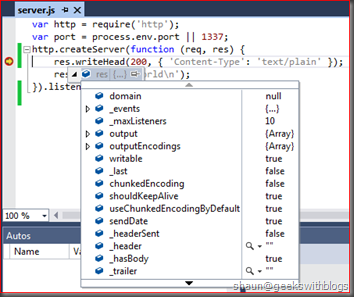 Anything like Visual Studio Command Window for Node.js? Awesome, isn’t it? Now let us run the application and This action will automatically start the browser on the local Web server, selecting port 1337. NTVS is now on GitHub! which you can find here. 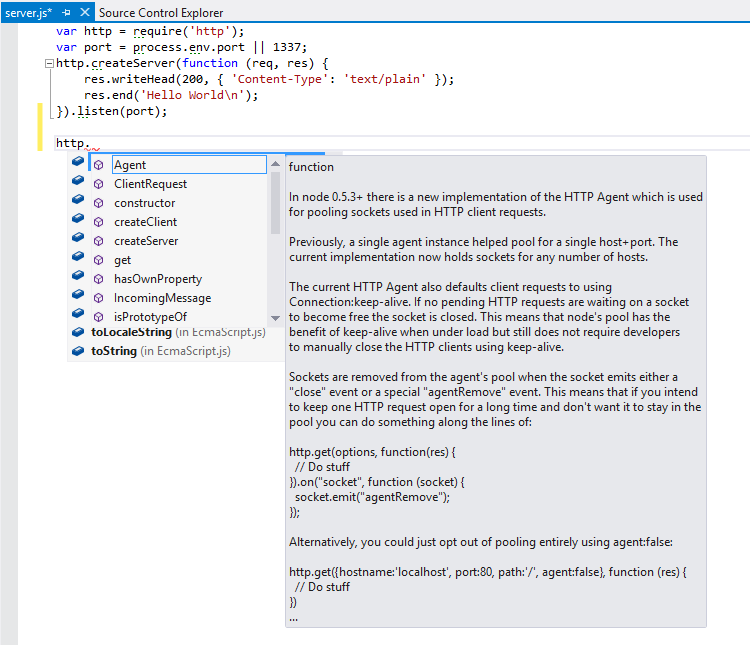 So, enjoy Node.js but in Visual Studio Style!